How many fretless basses did Ampeg manufacture? 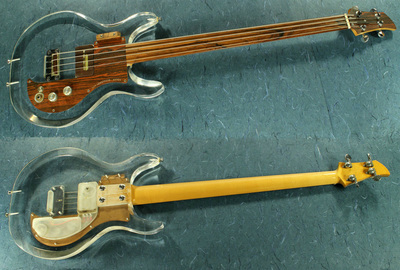 In 1971, Ampeg began to offer fretless basses ('ARMUB-1') as an option in its pricing catalog, as shown in the photo at right. By that time, the Dan Armstrong guitar and bass had been steady sellers for almost two years, boosted by endorsements from Keith Richards and Bill Wyman of the Rolling Stones. 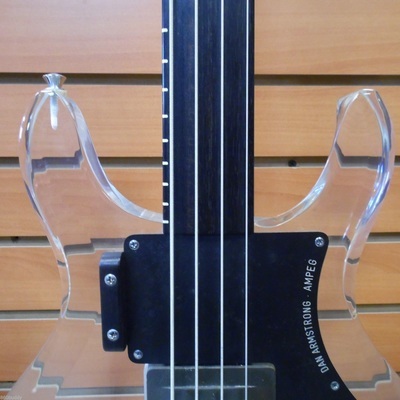 Ampeg's next step was to expand the basic product line, and introducing a fretless bass model must have been an easy decision since it involved less manufacturing work and built upon Ampeg's history of offering fretless basses in a previous instrument line. Ampeg had a number of choices in deciding how to introduce the fretless Dan Armstrong bass. One option would have been to build them one-by-one based on a specific customer order through Ampeg's dealer network. Or Ampeg could have added a few fretless instruments to its ongoing production of fretted models. 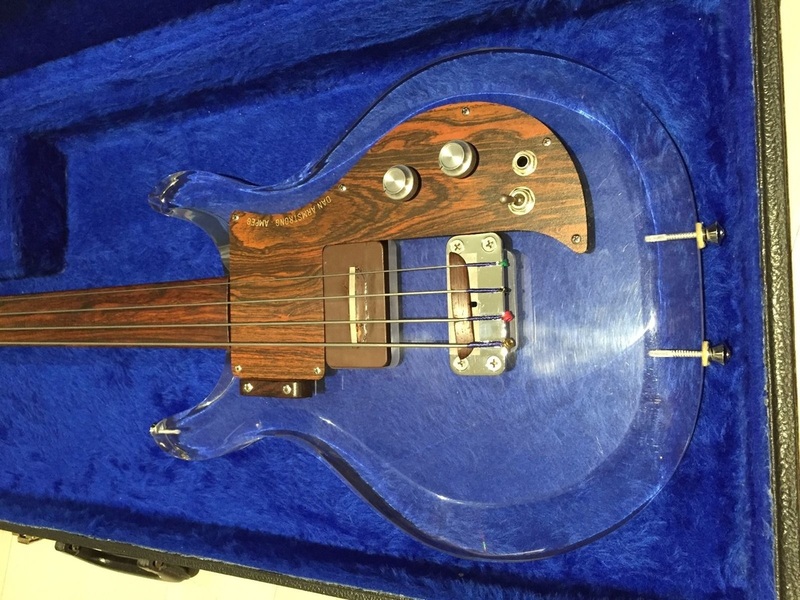 But what Ampeg apparently decided to do in mid-1971 was switch its entire bass production to fretless models for perhaps a month to six weeks, resume fretted models for another three or four months, then switch back to fretless basses until production ended in late 1971. 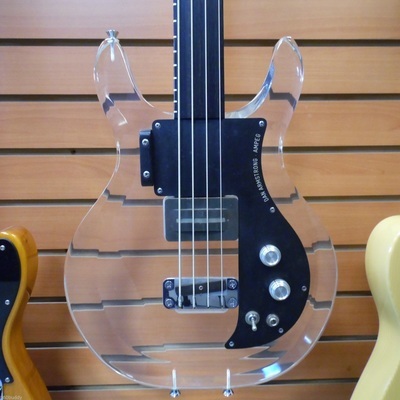 Based on an analysis of each production run, our current estimate is that Ampeg produced a total of 160 fretless basses. 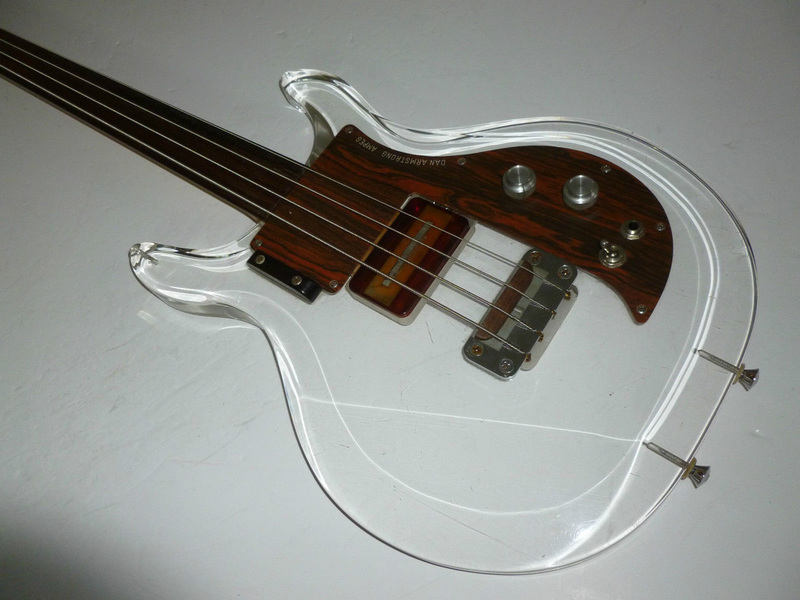 It is important to note that we have only documented a small portion of the Dan Armstrong fretless bass total, so our rough estimate of 160 basses is subject to change as more instruments surface and change hands. 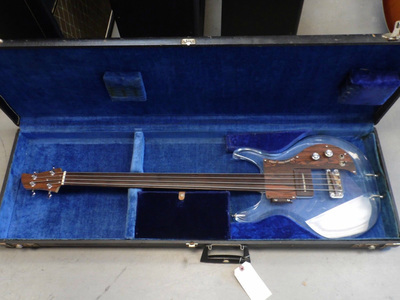 It is also interesting that Dan Armstrong's own recollection - "approximately 150 or more fretless basses were produced" - is remarkably close to our estimate based on analyzing actual serial numbers. 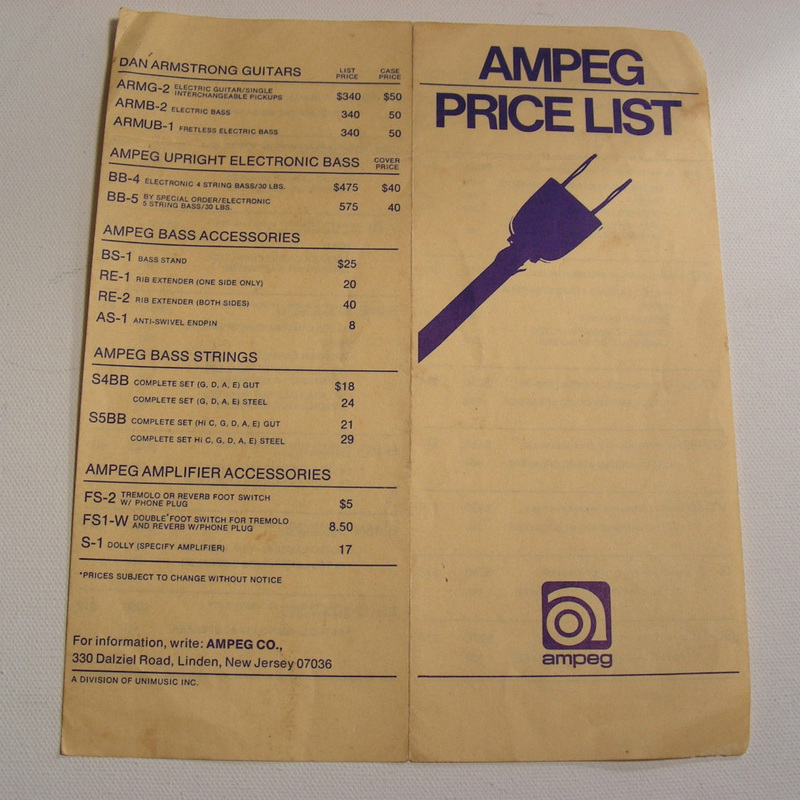 Above, Ampeg price list from 1971 showing the addition of a fretless bass (ARMUB-1) to the product offering. The first series of Dan Armstrong fretless basses seems to encompass instruments in the 2200 - 2300 serial number range. 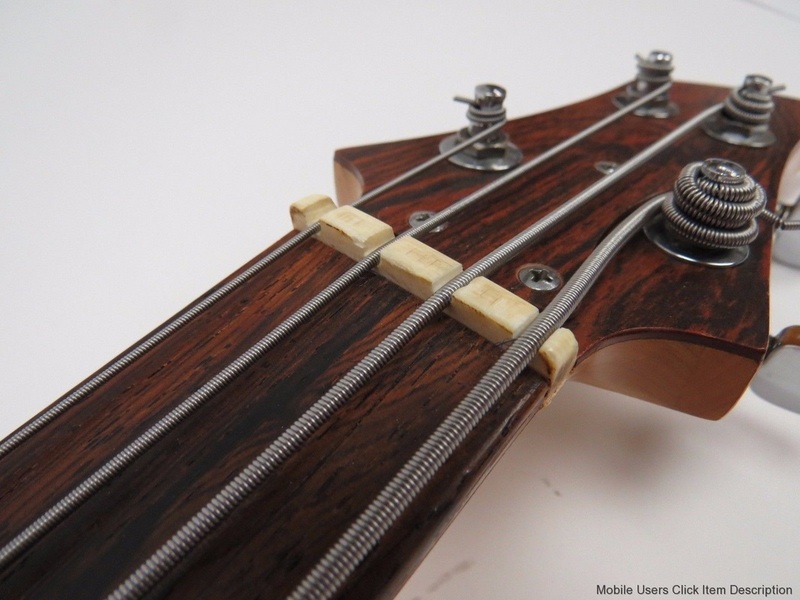 More specifically, we know that D2218A is fretless, and basses up to D2307A are also fretless. And so far, every other bass we've captured in that range has been a fretless model. This is a span of 90 serial numbers and it is unlikely that we have captured the exact beginning and end points of this production run. But for now, let's just say that the first run totaled approximately 90 instruments. 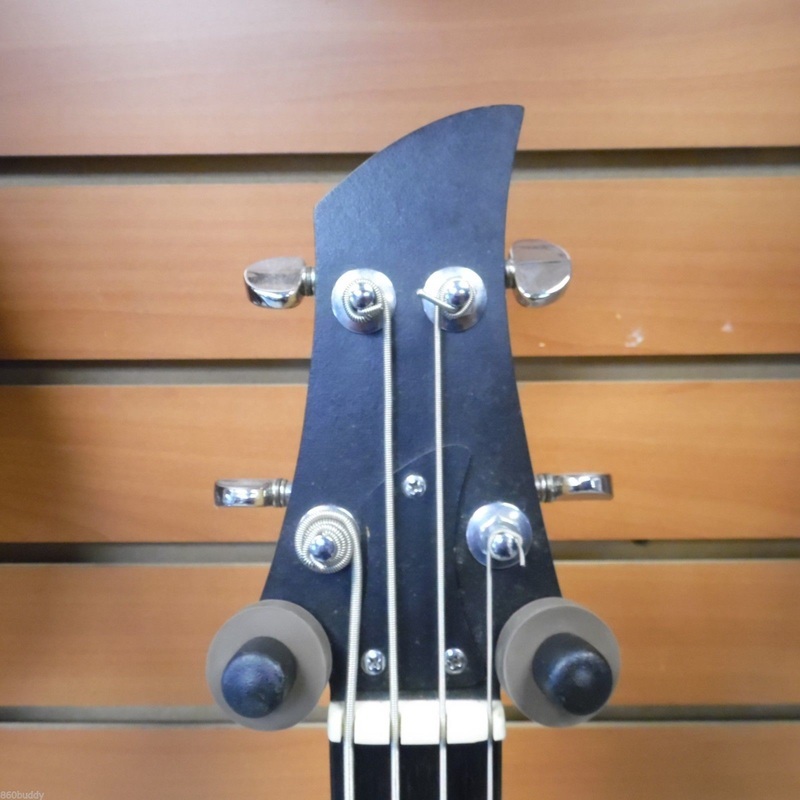 Fretless basses in this group are virtually identical in appointments to the standard 1971 fretted models, including the updated wiring spec, wood-grained formica pickguard and headstock, and sandblasted bridge plate. 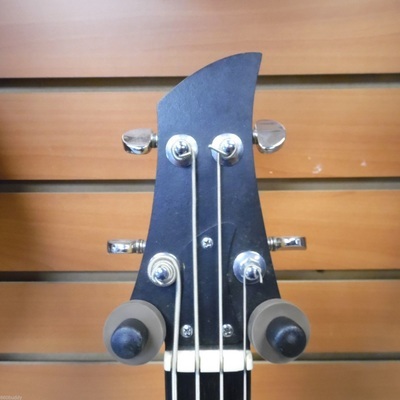 The second series of fretless basses runs from the mid-2500's up to the low 2600's, which is when bass production ended. The first fretless bass in this range is D2554A, and the highest is D2622A. This is a span of 69 serial numbers, which we're going to round up to 70 for the moment pending adjustment as new basses come to light. 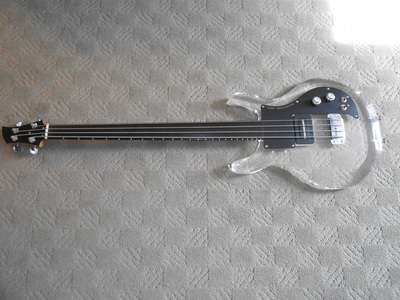 Somewhere during the second run of fretless basses, Ampeg decided to give its line a new look, which included a matte-black pickguard and headstock, an ebony fretboard with white position markers, and a coat of black paint over the brown epoxy pickups. 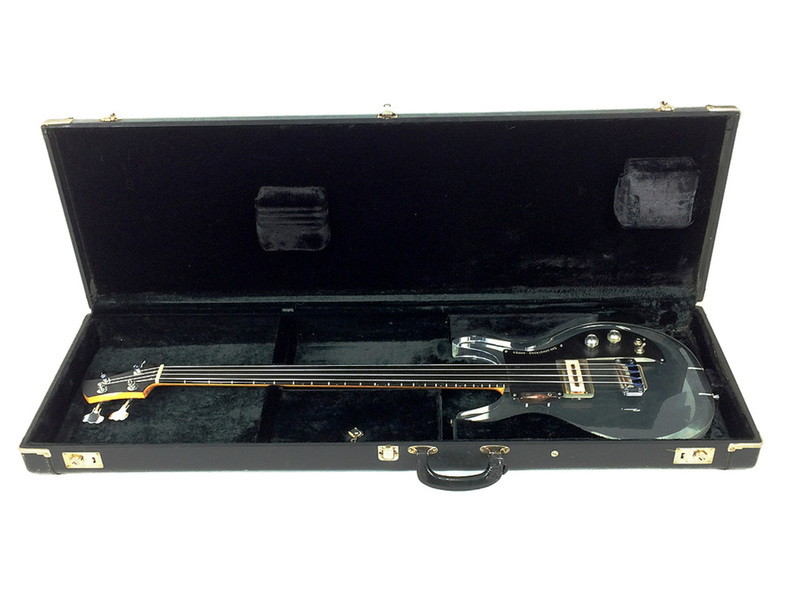 We think these instruments look fantastic, and it seems a shame that Ampeg didn't offer the black appointments on the Dan Armstrong guitars. It is unknown how many of the 'black' fretless basses were produced, but given their identical appointments these are clearly factory instruments. NB - Dan Armstrong quotation above courtesy of www.danarmstrong.org web site, all rights reserved.